One of our customers turned to us that he can’t active his new XTOOL EZ400 and the tablet screen remain as the photos attached below. Once you meet the situation like this, contact us with your serial number and activation code. Check the APP version of you XTOOL product. 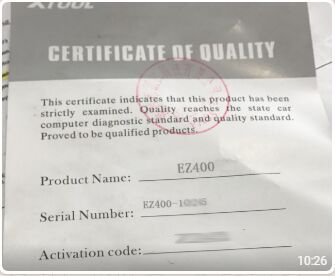 Serial number and activation code are in the package you received. Note: tap the skin bottom on the top right of the screen. Find “about”->”setting” to check the XTOOL APP version. After we check the customer’s XTOOL APP version, we found it is too old to activation. 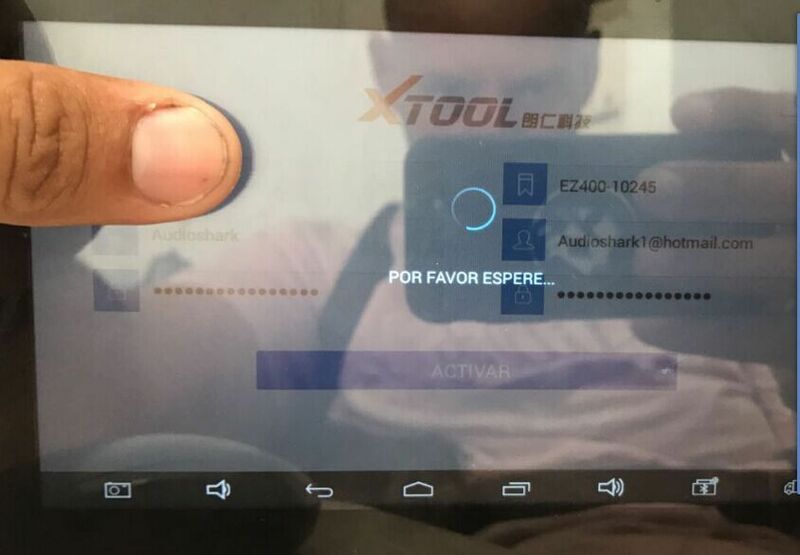 After he installed a newer version, he active his XTOOL EZ400 successfully. Note: if you can’t install the above APP, please contact us for the newer version. Why XTOOL fail to active? Input wrong activation code. Please check the code clearly when you register. Reset the XTOOL once you have registered the wrong code. And then register again with the right code. Old APP version. You need to update first before activation. The serial number and activation code you get are wrong. In this case, provide the serial number, activation code and APP version to us, we will send you another activation code.